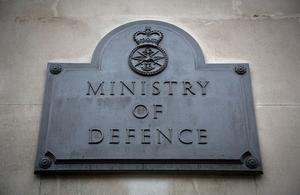 A new contract to manage the Ministry of Defence’s fleet of lease and hire vehicles will target savings of £100 million. It follows the Defence Secretary’s instruction last year that the cost of vehicle hire was reviewed and reduced. The £47 million contract has been awarded to Babcock. The company manage the so called ‘white fleet’ of cars, vans, trucks and specialist vehicles on behalf of the MOD, covering the UK and Northern Europe, as well as short-term hire around the world. The new contract will help deliver the savings target of £100 million over six years for vehicle hiring and leasing. The initial service within mainland UK is planned to start in September this year, followed by Northern Ireland in October and the rest of the world planned for April 2017. The MOD uses hire or lease vehicles to transport personnel and equipment around the country, often to areas not readily accessible by public transport. The vehicles are used for various tasks, ranging from moving defence personnel and stores to support military operations or training exercises to operational taskings such as mountain rescue and emergency support to the civil authorities and the civilian communities, for example to assist with flood relief. Defence has the strongest incentive to be efficient. Every pound that we save on vehicle hire will be reinvested into a defence budget that keeps Britain safe. I want to see us meet and exceed the £100m target. The contract offers the opportunity to trigger a change in culture with greater use of scheduled transport services and vehicle sharing. The Army, the MOD’s largest user of fleet vehicles, is already using a car pooling hub at Aldershot. The use of lease and hire vehicles is an important part of Defence’s overall ability to both train for and deliver its operational taskings and I know I speak for soldiers, sailors and airmen when I say that we look forward to working very closely with Babcock and in particular to achieving financial savings through the more efficient use of this vehicle fleet. The contract with Babcock will cover the management of the fleet, including the procurement of vehicles via the Crown Commercial Services, incident management, administrative services, including vehicle registration, and service, maintenance and repair management.